Logic4training’s oil burner training course is aimed at installers who want to become OFTEC registered as domestic/light commercial oil firing system service technicians of pressure jet burners. The course covers the regulations and standards that apply to oil fired pressure jet heating installations and installation practice. The OFT101 course is best suited to experience installers. Candidates must meet OFTEC entry requirements 1,2 and 3. 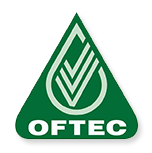 Oil burner training is designed for installers aiming to become OFTEC registered as domestic/light commercial oil firing system service technicians of pressure jet burners.